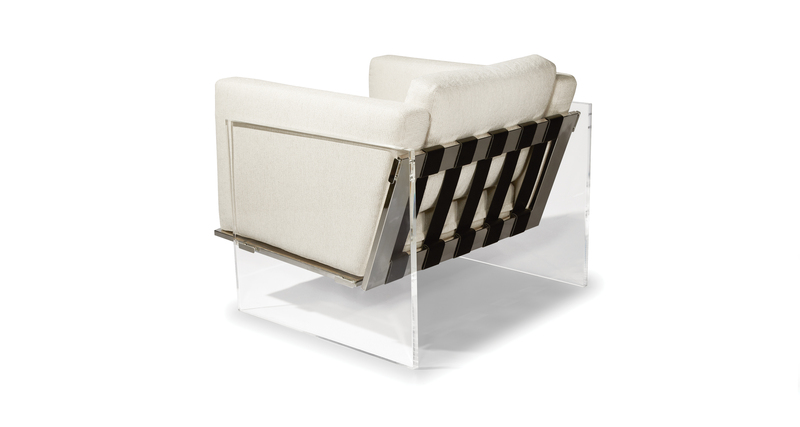 Originally designed in 1969 by Milo Baughman, the Get Smart lounge chair seemingly floats on air. 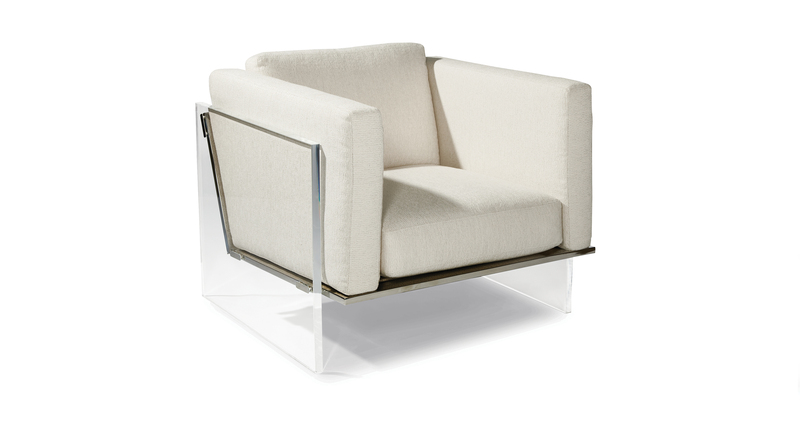 Striking from all angles, our Get Smart lounge chair features clear acrylic arm panels, stainless steel rails and black leather strapping standard. A companion sofa and studio sofa are also available. Select from our many fabrics or leathers or provide COM. 1 in. thick clear acrylic arm panels. Polished stainless steel front and back rails. 3 in. wide leather straps. Upholstered self deck standard.